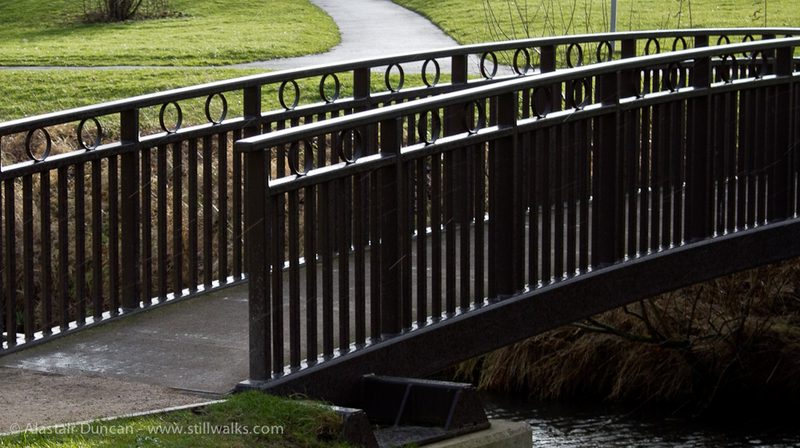 The footbridge over Bluebell Beck where it feeds into Hemlington Lake has a great sound underfoot. Being a simple metal construction, it produces a kind of hollow echoing sound as you cross it. It is also a good place to stop, look at the details of the surrounding winter vegetation and watch birds approaching the bridge from further up the beck. You can hear this sound below and again in this Sunday’s soundscape from part of the StillWalks sequence. Posted in Architecture, Field Recording, Nature, Photography, Walks and tagged birds, Blue Bell Beck, flight path, footbridge, footsteps, gulls, Hemlington, landscape, nature, photography, walking, walks. What a great sound. It could almost be the sound of drums before a battle. I’m glad you like it Allysse, I certainly did, but I hadn’t thought of war in any sense!